Bird and Lime scooters have become a new mode of public transportation surfacing in the Indianapolis area in recent months. 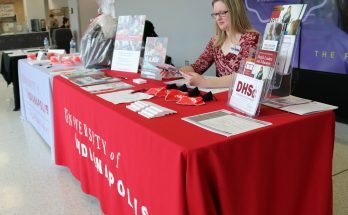 The scooters made their first appearance in downtown Indianapolis but have made their way all over the city, including the University of Indianapolis campus. 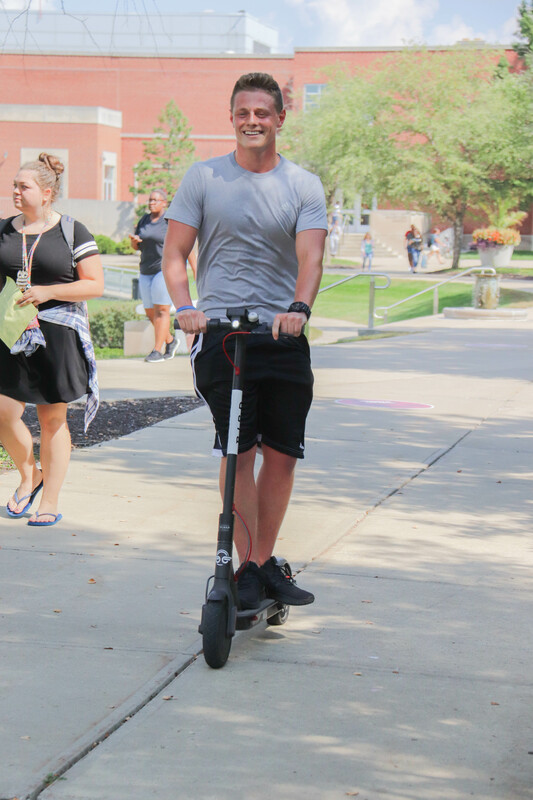 According to freshman psychology major Taylor Underwood, the scooters are a convenient mode of transportation that is popular to college students and those who visit downtown Indy. 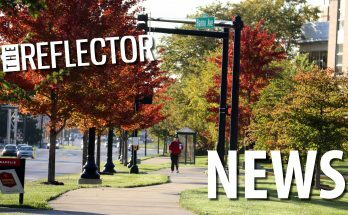 Junior finance major Stephen Possell logged onto the Bird App and went to the GPS page in order to locate the closest scooter to him to ride around Smith Mall. University President Robert Manuel has taken the opportunity to try out the scooters and said he believes the scooters show that UIndy is a part of the Indy community. 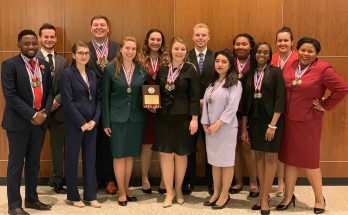 “I was actually proud that they were on campus because it shows that we’re really connected to the downtown in ways that we believe are important for our students to be,” Manuel said. According to Downtown Indianapolis Director of Safety and Security John Mann, these scooters are a new and interesting way to get around Indianapolis but there are also some possible dangers. He said he wants to inform the public of the laws that are put in place in order to keep people safe on the scooters. Mann said that the first week that the scooters appeared, the focus of the security department was to educate the riders on the safety laws that are in place. Now, tickets are being issued if those laws are violated and prices vary on types of violation. Mann said that the scooters should be treated similar to mopeds or motorcycles in the ways that they are ridden. 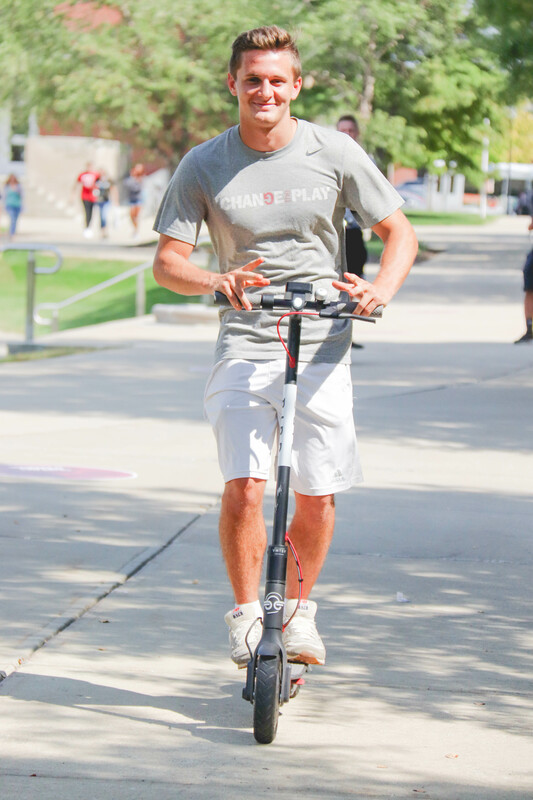 Junior finance major Matt McKinney rode a Bird scooter with Possell. According to the Bird website, the scooters can reach speeds of up to 15 miles per hour. Manuel said that though the scooters have served the students, he also sees the possible dangers they may have. Manuel said he sees that the riders are not wearing helmets and he thinks that could be potentially dangerous for the rider. 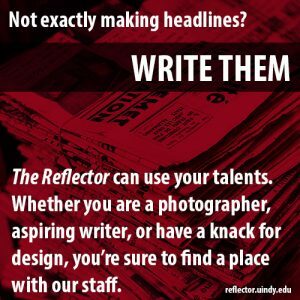 While there are many safety precautions that need to be followed, the scooters are still meant to make transportation easier, cheaper and more entertaining, according to Underwood. According to the Bird website, to access the scooters, download either the Bird or Lime app, which will show the locations of nearby scooters. They can be picked up wherever the person who used the scooter before left it. The scooters cost $1 to activate and fifteen cents per minute. The scooters can be parked on any sidewalk as long as they are not parked in front of any business or building entryways. Bird and Lime have chargers who are paid to collect the scooters every couple of days. After they are fully charged, they will be redistributed.